Are you ready to find your premiere destination for IT Outsourcing? Take a look at this post and discover how Argentina’s innovation meets global market needs. Argentina is a growing destination for Nearshore Outsourcing as it has many advantages over other traditional destinations. The country has a rich international business heritage and a reputation for being a western culture with European and US affinity with the Same time zone as Europe and North America. This cultural affinity and natural timezone alignments are important factors for foreign companies to outsource jobs to its citizens. 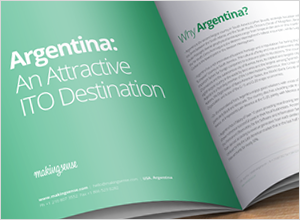 Take a look at our report which highlights Argentina as an attractive Information Technology Outsourcing (ITO) destination, the second-largest country in South America and strategically located between the South Atlantic and the South Pacific Oceans. Argentina invests more per capita and as a percentage of GDP in education than almost any other developing country in the world. State-run Universities are completely free in Argentina and they also provide world-class education, this has helped create a large pool of very talented and educated professionals. The data provided is intended for executives interested in the Information Technology Outsourcing delivered from Latin American regions. This report extracts the best information possible from multiple sources and provides valuable information on the demographic, cultural, social and economic factors directly impacting ITO. The sources used to complete the information that appears in this report comes from the World Bank, Nearshore Americas, Argentina’s Ministry of Work, Employment, and Social Security government promotion, and academics. Argentine companies global projection is expanding as one quarter of its production is exported to international markets. Today, a lattice of 3,800 firms, ranging from globally consolidated multinationals to a growing network of highly innovative small and medium-sized enterprises, makes up the global software and IT services sector. Download the complete report to learn more about this Information Technology Outsourcing ideal location and regional power! 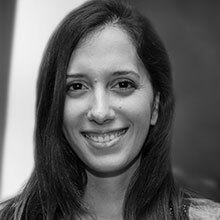 Meet our multicultural workforce! In Making Sense we embrace diversity both internally and externally, and we always make sure to hire individuals with unique knowledge and backgrounds.